Gonzalo Rincon, age 54, passed away on March 24, 2019 in Corpus Christi, Texas. Gonzalo was born on May 8, 1964 to Sylvia Gaytan. He will always be remembered for his laughter and his dancing. Gonzalo was a loving and funny person. 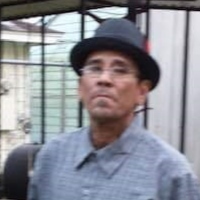 Gonzalo Rincon Sr., is survived by his daughter, Sylvia Rincon; his son, Gonzalo Rincon (Samantha); also by his loving sisters, Matilda Pena (Joe), Cynthia Hill (Lee), Sylvia Perez; brothers, Anscencion Rincon, Isadoro Rincon; also survived by 11 grandchildren, many nieces and nephews.